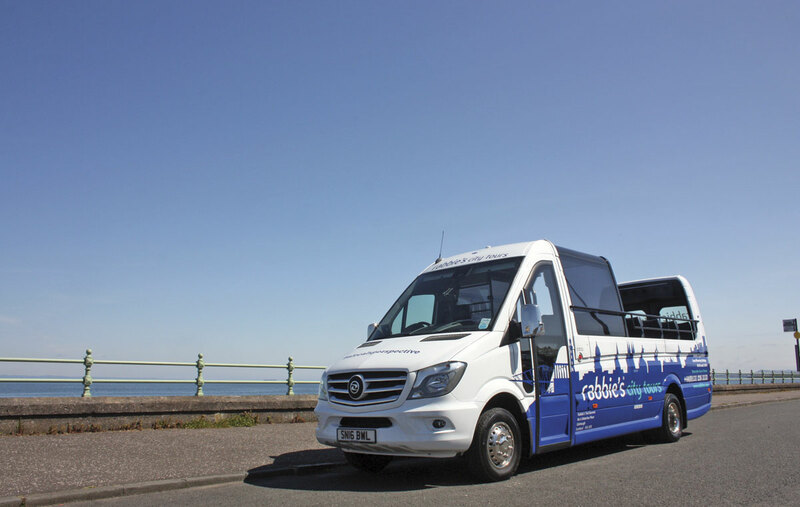 The very first registered service to be operated using EVM Cabrio open topped minicoaches was launched in Edinburgh on June 1 by established Scottish tour operator Rabbie’s Trail Burners. Called the Edinburgh City Tour, the new service also represents Rabbie’s first regular service, hitherto all their services have been private tours. I met up with Rabbie’s Director of Operations, Jeff Ferguson to learn how the service was conceived. 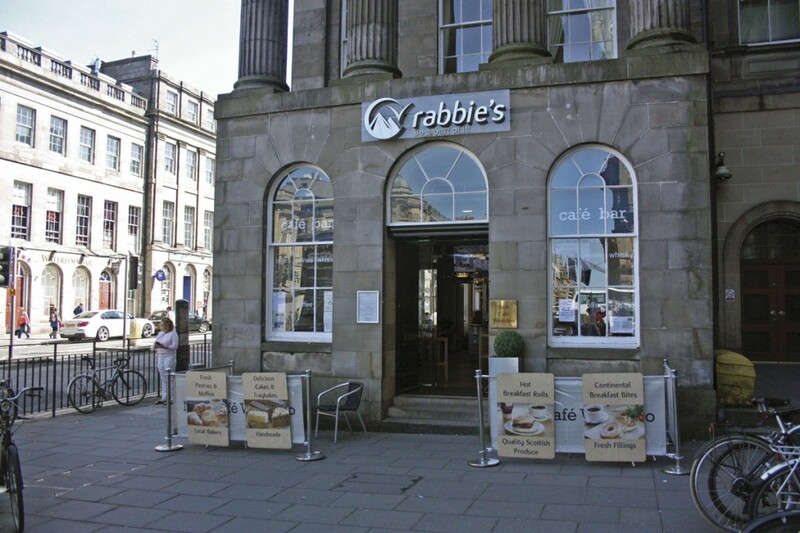 It all began, according to Jeff, from a meeting back in 2014 between the founder of Rabbie’s, Robin Worsnop and EVM Sales Director, Danny McGee. They were sitting in a restaurant on Edinburgh’s Princes Street looking at the classic Edinburgh skyline. Robin and Danny are old friends stretching right back to KVC days. 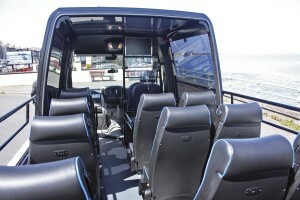 Robin told Danny that he had an idea for running a City Tour but didn’t want to take on the established operators using large buses, he wanted to do it with small vehicles that could access interesting parts of the city that the larger vehicles can’t reach and wondered if Danny had any ideas of how to produce a suitable vehicle. That is just the sort of challenge Danny McGee thrives on. Shortly after Danny came up with the embryo Cabrio design and after further meetings with Robin and visits to Robin Verachtert of Caleche, a Dutch company that manufacturers the sliding roof, the bones of the plan were in place. Danny went on to develop a prototype (see issue 1369). Once Robin Worsnop and his team saw the vehicle and drove it around the city they were convinced it could work. They went away and developed the idea for the Edinburgh City Tour and placed an order with EVM for three Cabrios. Robin was very keen on being one of the first operators in Britain to run these unique vehicles. Edinburgh has a number of established sightseeing bus tour operations although in fact most of them are run by Lothian Buses using a variety of liveries and fleet names. Rabbie’s were keen not to simply copy what the established tour operators were doing but provide something different and they didn’t want to alienate Lothian Buses with whom they have always had very good relations. The tour takes in all of Edinburgh’s key land marks. It starts and finishes at the same location as other tours, Waverley Bridge, the bridge that spans the railway tracks at Edinburgh Waverley station right in the heart of the city. It then takes in Princes Street, the Scott Memorial, Edinburgh Castle, the Grass Market, Greyfriars Bobby, the National Museum of Scotland, the Cathedrals of St, Giles and St. Mary’s, Holyrood Palace, the new Parliament Building and Arthur’s Seat but the tour also takes in less visited places like tiny Thistle Street, the Royal Mile, quaint Dean Village and the Water of Leith. The Tour lasts 1.25 hours and costs £20 for Adults (16+) and £10 for children (5+). The Tour runs every hour from 09.00 to 19.00, every day. 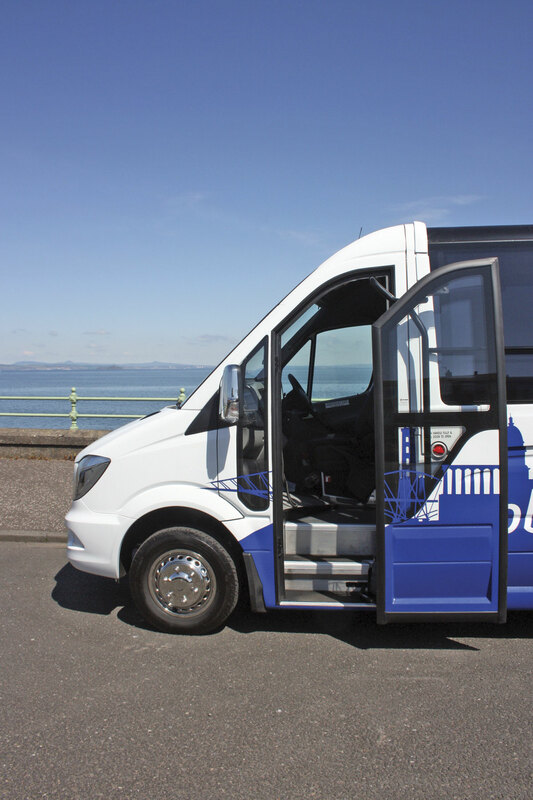 The vehicles are extra-long wheelbase Mercedes-Benz Sprinters with the 163bhp four cylinder Euro6 diesel engine matched to 7G Tronic Plus automatic transmission. This is a departure for Rabbie’s because they usually specify manual transmission for their vehicles but it was felt that for a service operating around a heavily trafficked city, automatics would be less stressful on the driver. The vehicles have a powered plug entrance door which opens onto a three step entrance up to the flat saloon floor. They have 16 Politecnica seats, all but the back row recliners, with three point belts. There is also a tip-up Politecnica courier seat at the front. The Cabrio is fitted with panoramic tinted double glazing including the roof and the vehicle benefits from convection heating and an ingenious heating and air conditioning system. The sliding roof is in three sections with the rear two sections sliding into the third front end module which does not open. With the roof closed the main structural rings are pressurised to maintain structural integrity. It takes less than 30 seconds to open or close the roof though this must be done with the vehicle stationary and preferably on level ground. As I proved in my evaluation of the vehicle (BCB Issue 1369, 11 March) it is perfectly feasible to operate the vehicle with the roof open even on very cold days. 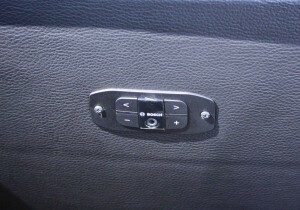 The vehicle is fitted with a multi lingual commentary system fitted by Autosound of Bradford. 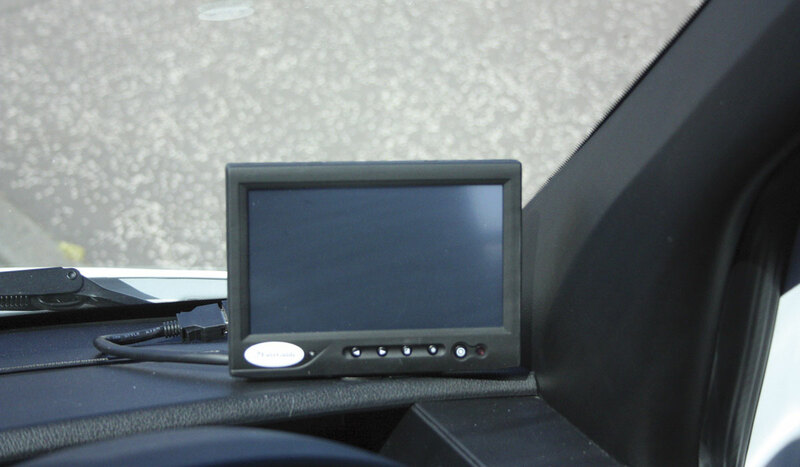 The commentary is triggered by GPS tracking and the driver has a screen on the dash which shows that the commentary is keeping pace with the vehicle position on the Tour. Drivers also have a microphone which can override the commentary allowing them to add extra information from their own knowledge. Rabbie’s drivers need to not only be good drivers but knowledgeable tour guides as well and are carefully selected to ensure they combine both talents. There are currently 85 of them plus some similarly trained part timers to cover peaks. 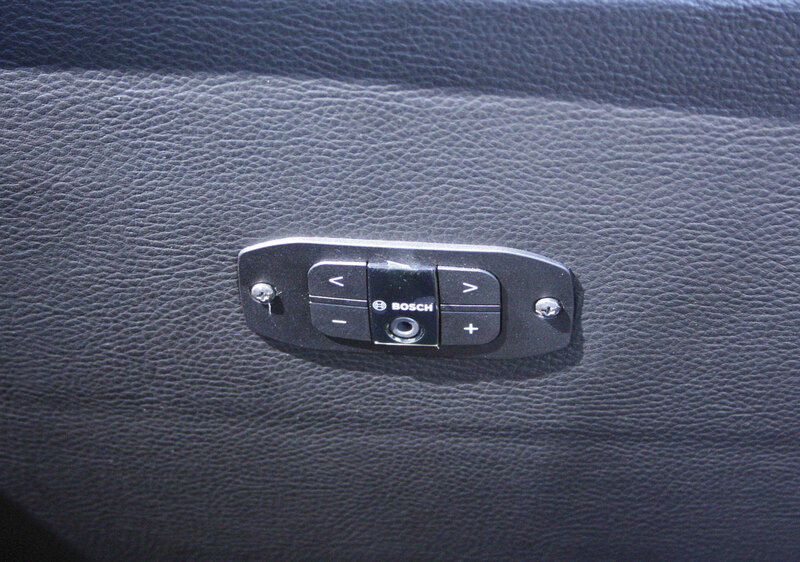 The commentary is fed to head-sets issued to each passenger and these plug into units mounted in the back of the seat in front. The commentary is delivered by a character called Rabbie who effectively gives the visitors a local’s perspective on their beloved city. It is very entertaining and informative. I was impressed by, but not surprised by, the attention to detail paid in developing the tour package by Robin Worsnop and his team even down to the stunning vehicle graphics representing the iconic Edinburgh skyline. 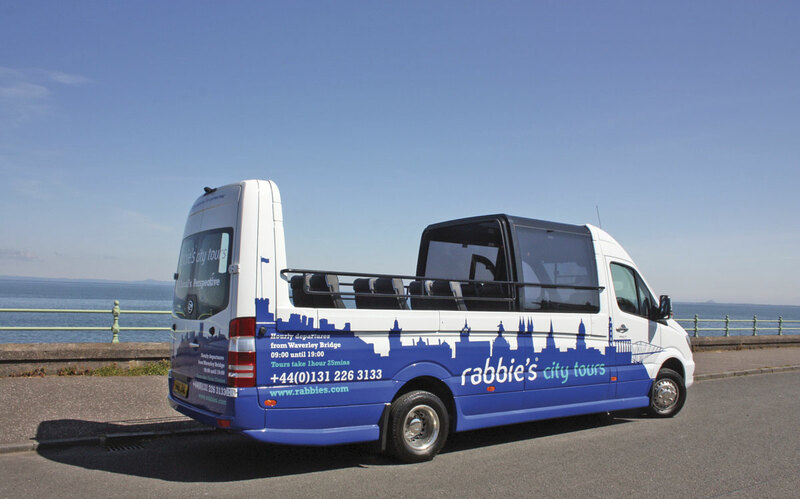 Rabbie’s also believe there is a considerable potential for private hire work with these vehicles and even before the service started they had begun to receive enquiries. There is no doubt that the vehicles are head turners as I found out when I went on a pre-launch tour with one of the vehicles. 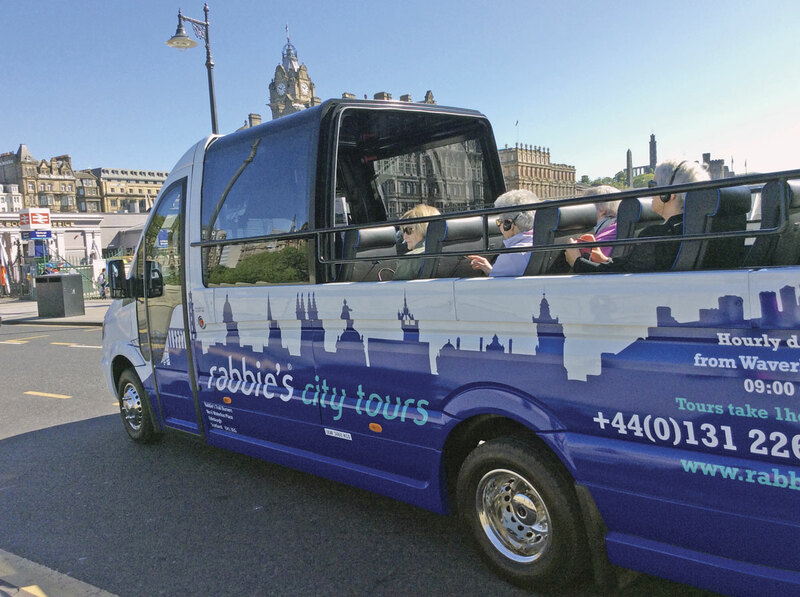 The Rabbie’s core business remains the operation of small group tours, a mix of one day and longer packages are offered. These naturally centre mainly on Scotland but also extend to the whole of England and Ireland. This year they have also started their first continental tour with a five day package to France. Rabbie’s have bases in Edinburgh, Glasgow, Dublin and London. 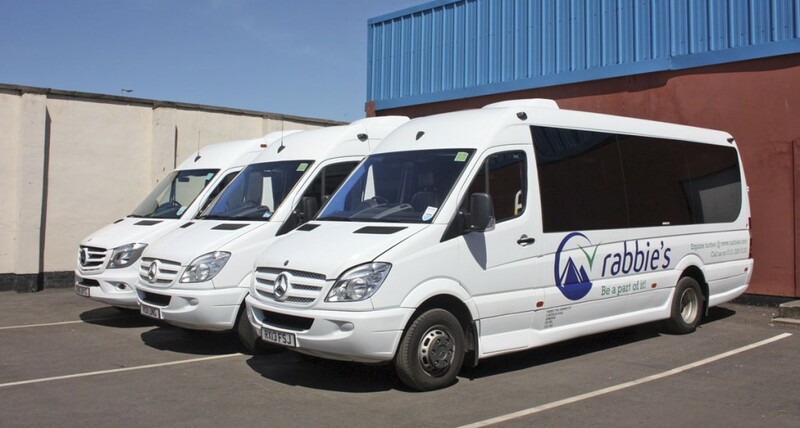 Their Irish Tours are sub-contracted to Rose Travel of Tralee who use vehicles of similar specification.The company started operating in 1993 and have been copious winners of tourism and especially green tourism awards. All the Rabbie’s fleet of 57 minicoaches (not including the new Cabrios) are to the same specification. They are all Euro6 EVM Mercedes-Benz Sprinter extra-long wheelbase 516s with six speed manual transmission, thirteen new this year. They are fitted with tinted bonded double glazing, air conditioning, convection heating, a comprehensive in-coach entertainment system including pa and 16 recliners equipped with three point seat belts. EVM have already taken orders for Cabrios from operators in Ireland, Northern Ireland and England. They are also now building complete left hand drive Cabrios for Caleche for their European customers and have already delivered six vehicles to them. Robin Worsnop has always been passionate about protecting the environment by buying the latest vehicles with the best anti-pollution credentials and in training drivers to drive green. They devised a training programme for their drivers in conjunction with the Energy Savings Trust. The training is mandatory and since its introduction they have seen a dramatic fall in the amount of fuel used. They have also found that competition amongst the drivers to be the most fuel efficient has become a great motivator. The launch took place at Rabbie’s head office in Edinburgh just at the Waverley end of Princes Street. It is not only the offices of the company but it also houses a public café-bar which serves delicious food and some of the best coffee I’ve ever had. Typical of Rabbie’s your coffee is prepared not by a Barista but a ‘Rabista’. You can also obtain information on all of Rabbie’s tour programme and even book them there, typical clever Rabbie’s thinking. 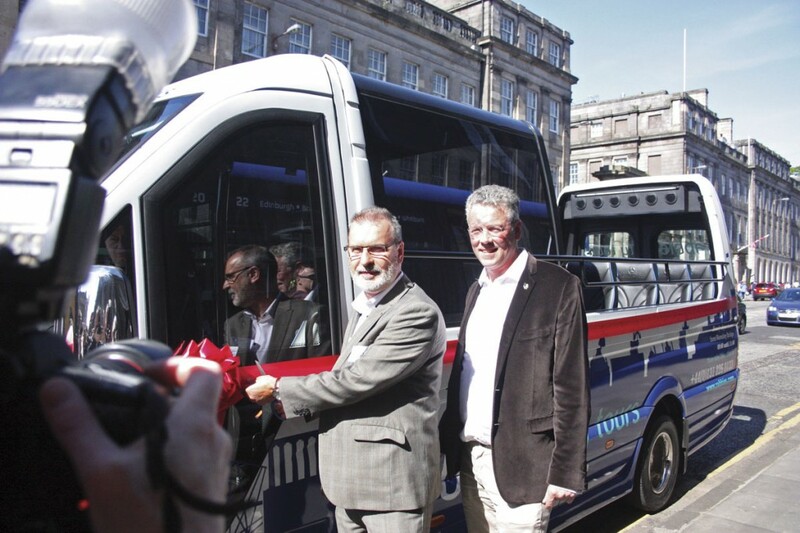 At the launch Robin Worsnop paid tribute to the team that had produced the new Edinburgh City Tour, to Danny McGee of EVM and Robin Verachtert of Caleche for developing the vehicles. (Both were present at the launch) and Edinburgh City Council whom he said had been very supportive. The actual traditional ribbon cutting was performed by Councillor Gavin Barrie from Edinburgh City Council. Both Robin Worsnop and Danny McGee are innovators and it will be interesting to see how the service develops, I suspect it will do well.